Sample testing is a miracle of modern medical care. Thanks to expert lab technicians and experienced pathologists, billions of samples are tested worldwide each year to correctly identify conditions and illnesses, which – if left undiagnosed – could quite easily prove fatal. Which stage of testing the sample is at. In many sample testing laboratories samples are still labelled by hand, which can lead to several common problems including a lack of transparency across the system, or difficulty finding where the sample is at a particular point in time. 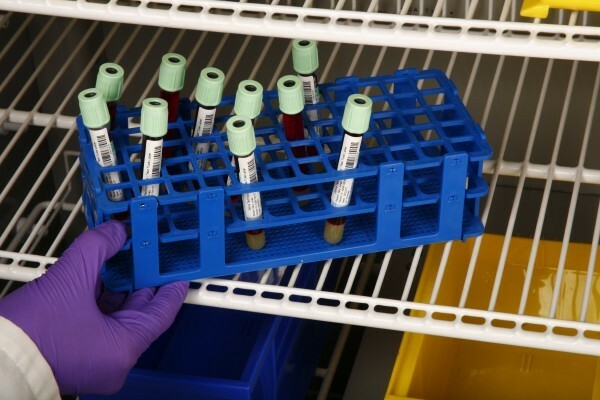 As instantaneous data retrieval is at the heart of the healthcare system, an inability to identify and comment on the status of a specific sample can cause communication issues, as well as delays in the completion of the testing process. As you’ll be aware, very small errors in the medical sector can have huge consequences. Misdiagnosis is the primary concern of most healthcare professionals and is often attributed to samples which have not been labelled correctly. In this case, laboratories are blamed for medical errors which could be minimised or avoided altogether with the implementation of an updated labelling and tracking system. Mislabelling or mishandling of samples leads to added patient stress and can sometimes result in additional testing being required. Additionally, a single mislabelled sample can cause huge delays in the treatment process, which increases medical costs for both patients and practices. In the worst-case scenario, a mislabelled and unidentified sample could lead to the wrong treatment being undertaken on a patient, or even no treatment at all. VisionID supplies full-scale bespoke sample tracking solutions, designed to suit the needs of your laboratory. The most common solution to sample tracking is using a barcode system to track each sample and ensure information stays within the central database. There have been recent developments in the realm of Radio Frequency Identification (RFID) technology, which we also champion for use in sample tracking, thanks to its non-contact scanning capabilities. VisionID can audit your facility to gain insight into your current sample tracking system, so we can recommend steps you can take to improve it. Barcode-assisted sample tracking can automate the data capture process, which improves the accuracy of your data whilst speeding up day-to-day tasks. Reduce the risk of misidentifying samples with our proven solutions for labelling and positively identifying patients. Give your lab staff the equipment they need to tackle their workflow and volume with our internal infrastructure solutions from Zebra. You may wish to look your sample tracking system yourself to pre-emptively identify those areas which may benefit from upgrading to barcode technology. Each step in the sample diagnosing process is a complex challenge and requires a high level of accuracy. Depending on the needs of your facility, you may wish to have a Wireless Local Area Network (WLAN) installed to facilitate the wireless features of the products suggested above. If your laboratory or medical centre already has a functioning Wireless Network but you’re thinking of purchasing a larger install base of wireless-dependant technologies, a VisionID expert will be able to conduct a bandwidth audit to determine whether your existing system will be able to cope with the additional hardware. Though barcodes are an improvement on manual labelling processes, developments made in the realm of Radio Frequency Identification Technology (RFID) have offered even more efficient ways of optimising your sample tracking process. RFID tagging is an ideal solution for tagging in a clinical environment, as it allows for non-contact data retrieval and amendment. This reduces the margin of human error more than barcode labelling does, as even though barcodes are primarily an automatic technology, they still require human scanning and categorisation. Additionally, a barcoded sample tracking system does not minimise the amount of human handling that the sample must undergo. RFID sample tracking software linked with the tag allows key details to be attributed to an individual sample. This data could include patient information, origin, intended destination, and suspected diagnosis for easier processing. The tag is linked to a central database. The sample begins its journey to the laboratory, and its progress is automatically tracked and recorded by non-contact RFID readers installed within the facility. If the sample is travelling by vehicle, it can be scanned using handheld RFID readers to update the database with location and GPS tracking data. RFID-enabled software tracks the sample and periodically updates the tag with any amended information or access alerts. Once the samples arrive at the lab, they can be scanned either by non-contact or handheld readers to complete the cycle. The data on the tag integrates with the internal systems used within the lab and means all relevant parties know the status of the sample at all times and can access their databases to view progress or alerts. Consult a VisionID expert today on +353(0)52 618 1858 or at info@visionid.ie for more information on how you could upgrade and optimise your sample tracking process.